Glitch Festival announce their biggest line-up to date including brand names such Nina Kraviz, Jeff Mills, Floorplan, Rødhåd, Amelie Lens & more. 3rd Edition to be held on the 14-16 August in Malta. - Track? !D. 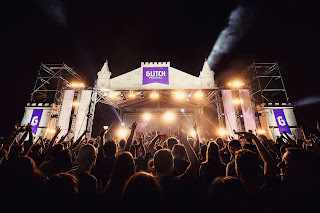 Home » Glitch Festival » News » Slider » Glitch Festival announce their biggest line-up to date including brand names such Nina Kraviz, Jeff Mills, Floorplan, Rødhåd, Amelie Lens & more. 3rd Edition to be held on the 14-16 August in Malta. Glitch Festival announce their biggest line-up to date including brand names such Nina Kraviz, Jeff Mills, Floorplan, Rødhåd, Amelie Lens & more. 3rd Edition to be held on the 14-16 August in Malta. 3rd Edition to be held on the 14-16 August in Malta. Following two successful editions, Glitch Festival is coming back with it’s third and biggest edition to date. This summer, electronic music enthusiasts from all over the world are once again called to gather at the gates of the mystical House-and-Techno fortress for a sonic adventure on the sun-drenched Mediterranean island of Malta. 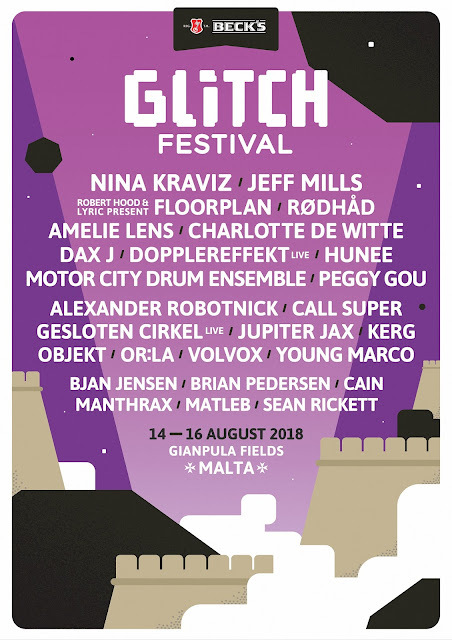 Glitch Festival will officially take place at Gianpula fields, framed against the iconic skyline of Malta’s fortified city, Mdina. The main festival will be held on the 14th and 15th of August followed by a boat-party on the 16th for the perfect sun-soaked finale. The festival will feature multiple stages – from rooftop pool parties to a secret ancient vault, and promises a diverse quality line-up of industry titans, including Nina Kraviz, Jeff Mills, Floorplan, Rødhåd, Motor City Drum Ensemble, Hunee, Amelie Lens, Charlotte De Witte and Dax J. A rare live appearance by legendary electro figures Dopplereffekt at the secret vault (a new area which will be introduced for the first time) will be one of the Festival’s highlights for those willing to explore, together with Gesloten Cirkel and a carefully curated list of master selectors from Young Marco, Objekt, Call Super, Peggy Gou, OR:LA, Volvox, Alexander Robotnick, Jupiter Jax and more. Each night brings it closer.